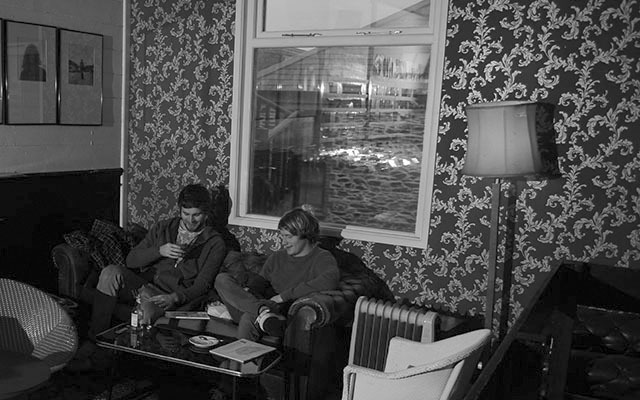 Our guest blogger Emily Smith reveals her favourite cafés, teashops and delis in Falmouth. Tucked away behind the big high street names in Falmouth is The Courtyard Deli, which serves food from breakfast through to lunch as well as afternoon snacks. The cafe sells a wide selection of hot and cold drinks and the deli offers home baked goods, vegetarian and coeliac options all to eat in or take away. They have an array of fresh olives, meats, pickles and other wonderful delights to pack into your satchel and take with you on your afternoon walk to the beach. I can’t leave without buying a slice of the homemade flapjack. 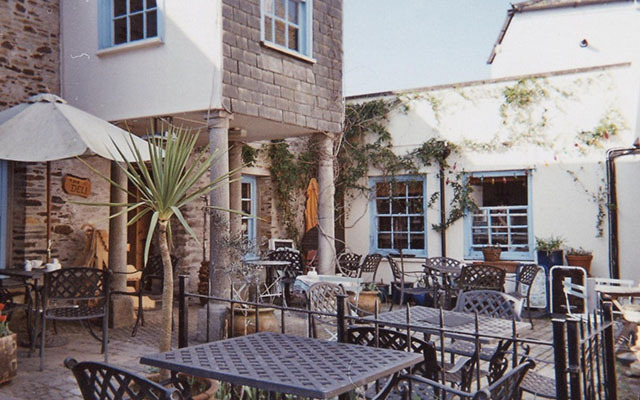 Courtyard Deli, 2 Bells Court, Falmouth, Cornwall TR11 3AZ. As the days get cold and you need a place to escape the afternoon chill then no place is better to grab a warming hot chocolate than Jam Records. Situated in Falmouth’s old quarter along with the vintage clothes shops, interior designers and niche restaurants, Jam is a much loved café of mine. Presenting itself as a record/coffee shop that offers new and old music, vinyl, independent films, as well as photography and design books alongside some great coffee. They even have a resident dog, Bob. Jam, 32 High Street, Falmouth, Cornwall, TR11 2NA. Dolly’s Tea Room is next, located above Falmouth’s bookshop on Church Street. This chic tea room is a beautiful venue that switches from a tea room by day to wine bar by night. They also have an adorable resident Labrador, Hebe, who will greet you on your arrival and offer a goodbye when you leave. 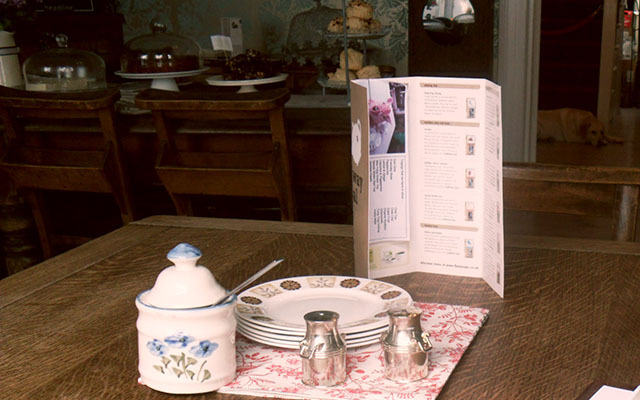 Visit during the day and be served tea in beautiful vintage crockery, mismatched tea spoons, cups and saucers. Visit in the evening and venture upstairs to a candlelit wine bar, serving tempting tapas, wine by the glass and cocktails served in teapots. What else would you need? Dolly’s Tea Room, 21 Church Street, Falmouth, Cornwall, TR11 3EG. Fed up and want to go on holiday? 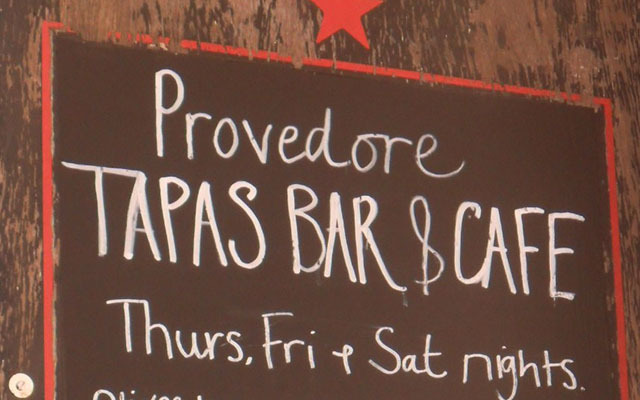 Then look no further because Provedore will transport you to Spain when really you’re just on a coffee break in Falmouth. A wonderful small tapas bar serving ciabattas, salads and cakes during the day, and an array of Mediterranean delights in the evening. Provedore’s tapas evenings get very busy so you may find yourself nestled amongst a family, sipping continental beer and sharing stories. Perfect. Provedore are famous for their enormous bowls of coffee so if you’re planning a long stay then this is the drink to choose. A really small but beautifully decorated and well thought out stop on your visit. Provedore, 43 Trelawney Road, Falmouth, Cornwall, TR11 3LY. One of Falmouth’s more reecent arrivals is Espressini, situated away from the activity of the high street on Kiligrew Street. 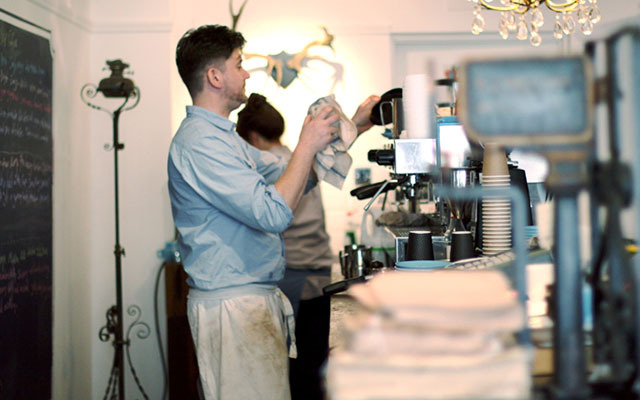 Serving the best artisan coffee Falmouth can offer, owner/barista Rupert Ellis has put together a complementary list of great teas and a selection of cold drinks. If you’re after home baked goods, delicious sandwiches and mouth watering coffee then it’s Espressini you want to visit. Espressini, 39 Killigrew Street, Falmouth, TR11 3PW. Emily graduated from University College Falmouth with a BA Hons in Journalism in June 2012. All pictures taken by Emily. You can visit her blog at emzjsmith.wordpress.com.